Over the past several weeks, we have been discussing the different theories, ideas, and practices of Traditional Chinese Medicine (Oriental Medicine). In the first article, we discussed the differences between modern and holistic approaches to medicine. It was emphasized that the biggest conceptual difference between the two approaches is that holistic medicine focuses on restoring a person’s entire well-being, while modern medicine focuses on just curing the illness. To better understand holistic medicine, we focused on exploring the major ideas and concepts of Traditional Chinese Medicine (TCM), because it is the oldest system of holistic medicine that is still widely practiced and many of its principles have become common in other forms of alternative medicine. The points on the model are meridians, which is where qi flows through. By learning more about TCM, we set to find out how health, illness, and healing are evaluated and performed outside of conventional medicine. We discussed the TCM model of the human body and its philosophical basis in Taoism, particularly with regards to the concepts of yin-yang and Zang-fu. From there, we were able to learn about qi (vital life energy) and for the first time, are able to discuss a non-physical substance that exists as part of the body. This is a radical departure from modern medicine, which reduces all illness to purely physical phenomena. In short, by attempting to balance qi through its healing modalities (acupuncture, tui na, diet, etc. ), Traditional Chinese Medicine is able to restore the mind and body of its patients. 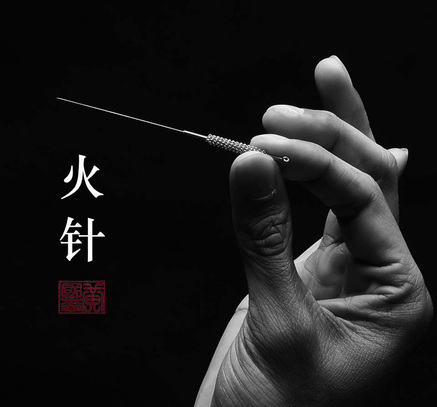 Acupuncture needles are used to "unblock" qi and restore its proper flow through the body. While discussing non-physical concepts like qi in a medical context may seem foreign to many Westerners, the effectiveness and popularity of TCM speaks for itself. Indeed, Oriental Medicine is popular, because it is effective. However, given that western medicine is also popular and effective, Oriental Medicine practitioners should evaluate the current state of their medicine in relation to western medicine, popular demand, and as its own science. For example, should acupuncture be promoted as primary, alternative treatment or as a secondary practice to western medicine? How do you integrate new ideas and practices into Traditional Chinese Medicine without losing its proven effectiveness? What is the ultimate impact that the answers to these complex questions will have on the field of holistic medicine? TCM has been around a long time. What role does it play in contemporary medical practice? Whatever the answers to those questions may be, they extend far beyond the scope of this blog. However, what can and should be done is to discuss the current state of Oriental Medicine in the west. By doing so, we can better evaluate and paint a more accurate picture of the potential future that Traditional Chinese Medicine has in the modern West. In this article, we will discuss the current state of Oriental Medicine as a medical and professional practice in the West. What is the current role of Traditional Chinese Medicine in the West? As discussed in the first article, TCM is a holistic and alternative medical practice to modern western medicine. While this description of TCM is correct, the juxtaposition of holistic and alternative as simultaneous descriptions for Oriental Medicine is interesting, because the two terms almost seem contradictory. Let me explain: alternative implies a type of option that is meant to replace or serve in place of another choice, usually one that is mainstream. Meanwhile, holistic implies a kind of add-on or “missing piece” option, rather than a replacement. I believe that this difference in nomenclature gives a fair account of how TCM is practiced in the west; either TCM is treated as a replacement for western medicine or it is used in conjunction with it. 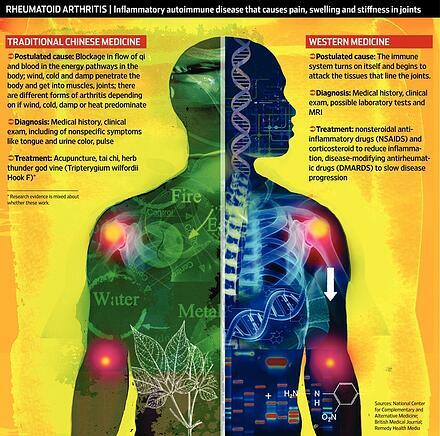 A poster comparison of TCM and conventional medicine. If this is the case, then TCM needs to be evaluated in both these roles: When is TCM best a standalone practice? When is it best a complementary practice? The true judges for this question are the patients themselves. An effective healing modality will have the backing of its former patients that were healed by it. Let’s evaluate where Traditional Chinese Medicine is most effective as an alternative or stand-alone practice. In the case of certain illnesses, evidence suggests that TCM is an effective substitute for western medicine. In these cases, TCM functions as an alternative treatment in place of the usual western remedy. Here are a few examples of psychological and physical illnesses that can treated by Traditional Chinese Medicine in place of conventional medicine. 1. 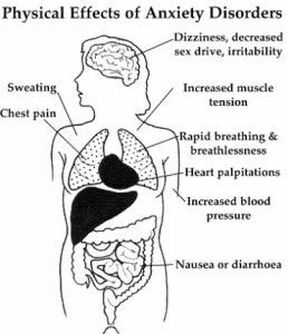 Anxiety Disorder: Anxiety disorder is a mental disorder that is characterized by constant feelings of fear, worry, and agitation, with depression being a common secondary effect of the disorder. Around 15.7 million people are affected by anxiety in the US each year; women are twice more likely of being diagnosed than men are. Prescription medication to treat anxiety includes anti-depressants (e.g. SSRIs), and benzodiazepines, both of which carry the potential of having negative side-effects. Those uneasy with the risks that anxiety medication carries should look into acupuncture as an alternative treatment to anxiety disorder. In 2013, a major peer-review of six different acupuncture studies concluded that “acupuncture may be an effective treatment modality [for anxiety and depression].” While the studies reviewed focused solely on women, there is no reason to believe that men would not benefit similarly. 2. 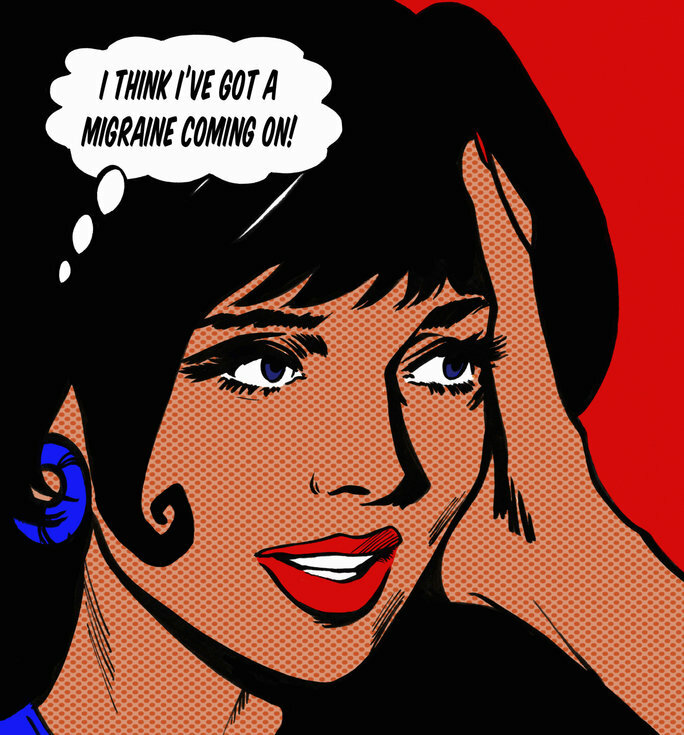 Migraine Prophylaxis: Approximately 37 million people in the US suffer from migraines. Common modern treatments include over-the-counter and prescription medicine, such as ibuprofen and Triptan (Serotonin Receptor Agonist). Both of these drugs have serious potential side effects. For example, long-term use of ibuprofen can cause gastrointestinal bleeding, while the use of Triptan can include side-effects of nausea and hives. While these pharmaceuticals may be effective, many people feel that risk of experiencing the negative side-effects are not worth the benefits. Luckily for them, acupuncture has been shown to be a highly effective form of drug-free treatment for migraines. For example, one major study, which included 249 patients, found that “acupuncture significantly reduced the frequency of migraine attacks." 3. Insomnia-Insomnia is a common sleep disorder that affects 60 million Americans. One of the most common treatments for insomnia in the west is to prescribe sedatives, such as zaleplon and benzodiazepines. Both of these drugs have the potential to become addictive and can have possible negative side-effects associated with drowsiness. Acupuncture is a safe alternative to many illnesses that require prescription medicine. Anxiety, Migraine Prophylaxis, and Insomnia are three of the many disorders/illnesses that Traditional Chinese Medicine can effectively treat in place of typical modern medicine. The biggest advantage seems to come in the low-risk, high-reward use of acupuncture, massage, and herbs in place of pharmaceuticals, which are effective, but carry the risk of serious negative side-effects. Furthermore, there seems to be a cost advantage to choosing TCM over modern medicine, at least with particular therapies, which includes acupuncture for migraines. However, this assumes a TCM healing modality in place of a modern one. What become of TCM when a modern medical procedure, such as emergency surgery is needed? Do you discard all of TCM or is there a place for it alongside modern medicine? In the next article, we will discuss TCM as a complementary practice to modern medicine and evaluate instances where it known to be effective partner to conventional medicine. If you're interested in learning more about a career in acupuncture, download our free career guide below. 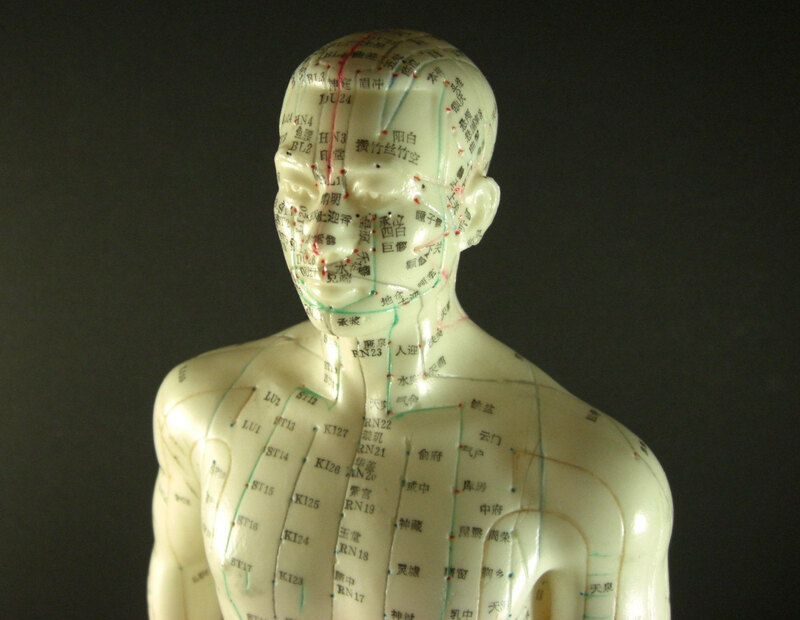 Acupuncture and Massage College is located in Miami, FL and offers an accredited degree program in Oriental Medicine.